Investigators aimed to characterize declining estimated glomerular filtration rate patterns associated with diabetes and to identify demographic, genetic, and modifiable risk factors. Diabetes is an important risk factor for kidney function decline, and the decline was almost twice as fast in individuals with diabetes when compared with persons without diabetes, according to new findings published in Diabetes Care. A diagnosis of diabetes contributes to approximately half of all renal failure cases in industrialized countries. However, less is known about long-term kidney disease trajectories in persons with and without diabetes. In this study, the goal was to characterize patterns of estimated glomerular filtration rate (eGFR) decline that are associated with diabetes, as well as to identify factors that are associated with a greater reduction in eGFR. Data from the Atherosclerosis Risk in Communities Study were used, as serial measurements of creatinine had been obtained from participants for 26 years. 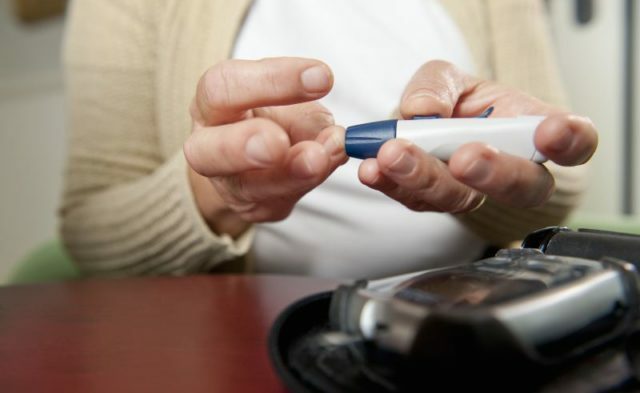 A total 15,517 participants were included in the current analysis; 13,698 (88%) did not have diabetes, 634 (4%) had undiagnosed diabetes, and 1185 (8%) had diagnosed diabetes at baseline. The mean annual decline in eGFR was slowest for those without diabetes (−1.6 mL/min/1.73 m2/y [95% CI, −1.6 to −1.5]), faster for those with undiagnosed diabetes vs those without diabetes (−2.1 mL/min/1.73 m2 /y [95% CI, −2.2 to −2.0]; difference of −0.6 mL/min/1.73 m2/y [95% CI, −0.7 to −0.4]), and almost twice as fast for those with diagnosed diabetes vs those without diabetes (−2.9 mL/min/1.73 m2/y [95% CI, −3.0 to −2.8]; difference of −1.3 mL/min/1.73 m2/y [95% CI, −1.4 to −1.2]). The results were attenuated slightly after adjustments were made, but persons with undiagnosed and diagnosed diabetes still had statistically significantly greater declines eGFR compared with those without diabetes. Participants who were diagnosed with diabetes, used diabetes medications, had a systolic blood pressure ≥140 mm Hg, were black, had an HbA1c ≥7%, or had 1,5-anhydroglucitol <10 mg/mL were found to be at risk for steeper annual eGFR declines than others. “Our results reinforce the importance of glycemic and risk factor control in the prevention of chronic kidney disease,” wrote the authors.